Welcome! If you love the breed, as I do, then you’ll appreciate the care and dedication, and the “labor of love” that goes into selectively breeding and raising these magnificent animals. As top quality German Shepherd Breeders, we pride ourselves on sharing our passion for the breed with the families and individuals who purchase a German Shepherd from us. We take great care in raising our German Shepherd puppies in a family atmosphere that encourages human bonding, socializing, and a great deal of physical interaction. Haus Brezel is conveniently located on 6 beautiful acres in tropical Sarasota, Florida. The dogs have an acre spring-fed pond to swim in at will. Visitors are welcome to come see these gorgeous dogs and the enjoy the beauty and serenity of where they are raised and trained. 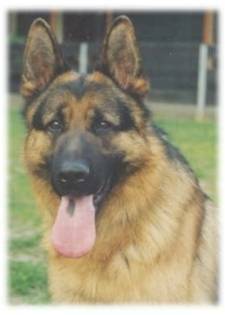 Why Choose Haus Brezel German Shepherds? Some of the Finest German Shepherd Puppies Available in Florida and North Carolina. However, puppies can be shipped throughout the US. At Haus Brezel, our priority and privilege is in breeding this exceptional breed of dog. We are committed to excellence for our dogs and have the knowledge, experience and dedication to offer you the best in German Shepherd puppies for sale. We maintain an excellent relationship with our German Friends and routinely bring in new blood lines to keep improving our breeding program. Today I lost my beloved Arman. My heart is broken as I write this. He appears to have died in his sleep while taking an afternoon nap in the house. Just earlier today he was playing and running and full of life and a few hours ago… he was silent. Arman, was truly more human like than dog like. He was such a great friend, so intelligent, focused, obedient, so much wanted to please… he would look into my eyes as though he was trying to communicate through mental telepathy. I felt so safe with him at my side, in my home, in my car. He was my protector, my good boy. He was always a strong boy even as a puppy, an old soul in a puppy body. He grew up to continue to have that same beautiful confident nature. Serious but gentle, strong and fearless but fair and kind. I loved the expression in his eyes. He made so so many people happy with babies that are just like him. I’m so sorry I didn’t play with him more today… I was busy with other dogs. I’m so sorry I didn’t let him have one more swim in the lake that he loved so much. I’m so sorry I didn’t get to give him one more strong hug around his neck to let him know how much I love him. I miss you so much… I have to take comfort in knowing you’re with your dad Sasko and your mom Tasha. I hope the three of you are running and playing and happy to be together again. I will never forget you Arman… you are and always will be my “special boy.” I love you so much, Buddy. We hope that you enjoy browsing our website to see our beautiful German Shepherd Pups. If you need further assistance, please let us know. We are here to answer your questions and hopefully fulfill your expectations by adding one of our world class German Shepherd puppies to your family. If you don’t see exactly what you’re looking for, please contact us by phone (828-606-7746) or email (TBrezel@gmail.com). We have an excellent working relationship with our German contacts, trainer and handler team, and can help you find the dog you’re looking for. Thank you for taking the time to visit Haus Brezel German Shepherds. Contact us to reserve a puppy. Haus Brezel German Shepherds. If you love the breed, as I do, then you'll appreciate the care and dedication, and the "labor of love" that goes into selectively breeding and raising these magnificent animals. 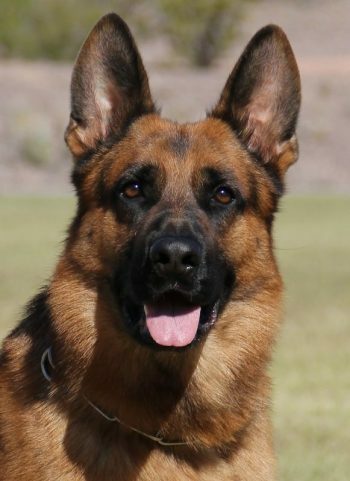 Haus Brezel German Shepherds is located on 11 acres in the beautiful mountains of western North Carolina and in tropical Sarasota, Fla. We specialize in German Shepherds bred for fantastic temperament, courage, companionship, best friend, working ability and show. All puppies are raised in a family atmosphere in the home with continuous human bonding, touching and socializing. Handsome Rapallo, Romero son, out boating with his family on this gorgeous Easter Sunday. Thank you again Jimmy W. for the updated photos of Icon Asher v Haus Brezel. He looks so alert and happy. I see his ears are starting to arch. What a cutie pie ! Susan, thank you again for keeping me posted about handsome Gio Remi v Haus Brezel. Just 10 months old. Kisha, it's clear out much you love little Ikon v Haus Brezel. So he's already doing the "pocken" huh? You're not wasting any time. He'll be a great boy for you. Another beautiful Romero son. Amy, thank you so much for this photo of beautiful Ginger v Haus Brezel. She looks just like her father, V Formann v Schloss Rugland. What a girl! Site contents copyright © Haus Brezel German Shepherds. All rights reserved.